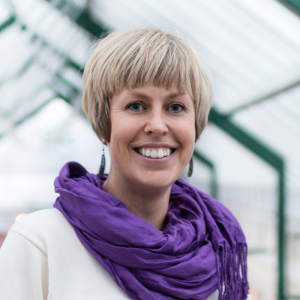 Fern has research interests in environmental philosophy and ethics, the politics of risk and uncertainty, the governance of emerging technologies (e.g. biotechnology and nanotechnology), and the theory and practice of cross-disciplinary research. Fern completed a cross-disciplinary PhD (2002-2006) with the Schools of Biological Sciences and Science, Technology and Society at the University of Wollongong in Australia. She undertook a Bachelor of Arts/Bachelor of Science double degree at the Australian National University from 1995-1999 and attained a first class Honours degree in Environmental Politics from the University of Tasmania in 2001. Funded by the FRIPRO programme of the Norwegian Research Council. Start date July 2014. “Excellence in science and innovation for Europe by adopting the concept of Responsible Research and Innovation” (NewHoRRIzon) Funding: European Commission Horizon 2020 program. Start date May 2017. Funded by the NANOTEK2021 programme of the Norwegian Research Council. Start date October 2014. “A common European approach to the regulatory testing of nanomaterials” (NANoREG). Funded by the US National Science Foundation. Start date October 2013. Funded by the South Australian Collaboration Pathway Program Scheme. Start date June 2013. Funded by the European Commission. Start date March 2014. Funded by the ELSA & BIOTEK2021 Programmes of the Norwegian Research Council. Start date August 2014. Kjølberg, K. & Wickson, F. (2010) Nano meets Macro: Social Perspectives on Nanoscale Sciences and Technologies (Pan Stanford Publishing: Singapore). Preston, C. and Wickson, F. (2016) “Broadening the lens for the governance of emerging technologies: Care ethics and agricultural biotechnology” Technology in Society 45:48-57. Holderbaum, D.F., Cuhra, M., Wickson, F., Orth, A.I., Nodari, R., Bøhn, T. (2015) “Chronic Responses of Daphnia magna Under Dietary Exposure to Leaves of a Transgenic (Event MON810) Bt-Maize Hybrid and its Conventional Near-Isoline” Journal of Toxicology and Environmental Health, Part A: Current Issues 78(15): 998-1007. Miller, G. and Wickson, F. (2015). “Risk Analysis of Nanomaterials: Exposing Nanotechnology’s Naked Emperor” Review of Policy Research 32(4): 485-512. Hilbeck, A., Binimelis, R., Defarge, N., Steinbrecher, R., Szekacs, A., Wickson, F., Antoniou, M., Bereano, P.L., Clark, E.A., Hansen, M., Novotny, E., Heinemann, J., Meyer, H., Shiva, V., Wynne, B. (2015). “No scientific consensus on GMO safety”, Environmental Sciences Europe 27(4): 1-6. Wickson, F. & Wynne, B. (2012) “Ethics of Science for Policy in the Environmental Governance of Biotechnology: MON810 Maize in Europe” Ethics, Policy and Environment 15(3): 321-340. Grieger, K.D., Wickson, F., Andersen, H.B., & Renn, O. (2012) “Improving Risk Governance of Emerging Technologies through Public Engagement: The Neglected Case of Nanoremediation?” International Journal of Emerging Technologies and Society 10: 61-78. Wickson, F., Gillund, F. and Myhr, A.I. (2012) “Tratando as nanopartículas com precaução: reconhecendo a incerteza qualitativa na avaliação científica do risco” Política & Sociedade 11(20): 171-204. Wynne, B. & Wickson, F. (2012) Reply to J. N. Perry et al. EMBO Reports 13(6): 482-483. Wickson, F. & Wynne, B. (2012) “The anglerfish deception: The light of proposed reform in the regulation of GM crops hides underlying problems in EU science and governance” EMBO Reports 13(2): 100-105. Delgado, A., Kjølberg, K.L. & Wickson, F. (2010) “Public engagement coming of age: From theory to practice in STS encounters with nanotechnology” Public Understanding of Science 20(6): 826-845. Wickson, F. (2009) “Extended Review of Risk Assessment: A Case Study in Reliability Rating and Reflective Questioning” Journal of Risk Research 12(6), pp.749-770. Wickson, F. (2008) “What is nature, if it’s more than just a place without people?” Nature 456, p.29. Wickson, F. (2008) “Narratives of Nature and Nanotechnology” Nature Nanotechnology 3(6), pp.313-315. Kjølberg, K., Strand, R., Delgado, G.C., Wickson, F. (2008) “Models of Governance for Converging Technologies” Technology Assessment and Strategic Management 20(1), pp. 83-97. Wickson, F., Nepstad, R., Am, T. & Winkler, M. (2008) “Reflections on Philosophy of Nanoscience from Nanoscience Practitioners” Nordic Journal of Applied Ethics (Etikk i Praksis) 2(2), pp.73-92. Russell, A.W., Wickson, F., and Carew, A.L. (2008) “Transdisciplinary research: context, contradictions and capacity” Futures 40(5), pp. 460-472. Wickson, F. (2007) “Public engagement means listening as well as talking” Nature 448/9, p.644. Kjølberg, K. and Wickson, F. (2007) ‘Social and Ethical Interactions with Nano: Mapping the early literature’ NanoEthics 1:2, p.89-104. Wickson, F. (2007) “From Risk to Uncertainty in the Regulation of GMOs: Social Theory and Australian Practice” New Genetics and Society 26(3), pp. 325-339. Wickson, F., Carew, A.L. and Russell, A.W. (2006) “Transdisciplinary research: characteristics, quandaries and quality” Futures 38:9, pp.1046-1059. Wickson, F. (2005) “Australia’s Environmental Regulation of Genetically Modified Organisms: risk and uncertainty, science and precaution” Griffith Journal of the Environment Issue 1, June. Wickson, F. (2005) “Environmental Decision Making: Emerging Conceptualisations of Uncertainty and Precaution” Rhizome volume 1, issue 1, pg. 147-162. Wickson, F. (2004) “Australia’s Regulation of Genetically Modified Crops: Are We Risking Sustainability?” Australian Journal of Emerging Technologies and Society Issue 2, Autumn. Wickson, F. (2015). “The ontological objection to life technosciences” in Science, Philosophy and Sustainability: The End of the Cartesian Dream. Eds. A. Guimaraes Pereira & S. Funtowicz (Routledge: Oxon): 61-77. Wickson, F. (2014) “Post-Normal Science” in Ethics, Science, Technology, and Engineering: A Global Resource. Ed. J. Britt Holbrook. 2nd ed. Vol. 3. (MI: Macmillan Reference: Farmington Hills) 438-440. Gale Virtual Reference Library. Web access. Randles, S., Youtie, J., Guston, D., Harthorn, B., Newfield, C., Shapira, P., Wickson, F., Rip, A., von Schomberg, R., Pidgeon, N. (2012) “A Trans-Atlantic Conversation on Responsible Innovation and Responible Governance” in H. van Lente et al. (eds) Little by Little: Expansions of nanoscience and emerging technologies (Akademische Verlagsgesellschaft: Heidelberg) pp.169-180. Wickson, F. (2012) “Nanotechnology and Risk” in Maclurcan, D. & Radywyl, N. (eds) Nanotechnology and Global Sustainability (CRC Press: Boca Raton) pp. 217-240. Lie, S.A.N. & Wickson, F. (2011) “The Relational Ontology of Deep Ecology: A dispositional alternative to intrinsic value?“ in A. Aaro & J. Servan (eds) Environment, Embodiment & History (Hermes: Bergen). 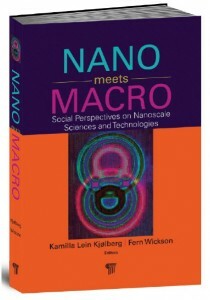 Wickson, F. (eds) Nano meets Macro: Social Perspectives on Nanoscale Sciences and Technologies (Pan Stanford Publishing: Singapore). Wickson, F. & Kjølberg, K.L. (2009) “NanoVisions: An Experiment with NanoScientists” in Gammel, S. & Ferrari, A. (eds) Visions of Nanotechnology (AKA Verlag: Berlin) pp. 165-183. Miller, G. & Wickson, F. (2015) “Big questions about risk assessment of nanomaterials” The Conversation (published 24.08.15). Wickson, F. (2014) “Watching the regulatory tail wag the scientific dog” Research Europe 390, p. 7. Wickson, F. (2012) “The Scientific Revolution” IEEE Technology and Society Magazine 31(2): 17-18.